Happy New Year! 2013 was happy. 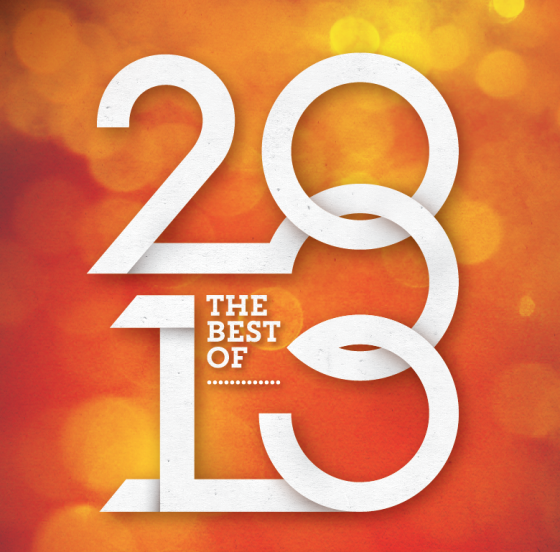 2014 is here. Fabulous! A few moments stand out from a blessed ’13. 1. In February, I signed a contract with Compass Records for ‘When We Fall,’ my first nationally released solo project. What an honor to be affiliated with this fine group of talented music professionals. 2. In March, we began performing with banjo man Kyle Tuttle. What an ace! He’s a spirited, hard-working person…and a pretty dang good musician to boot. Yay. 3. Also in March, Shari Lacy of GoodStuff PR signed on to promote ‘When We Fall.’ What a find! Features in Bluegrass Unlimited, Bluegrass Today, Engine 145, and many more; cover of Japanese ‘Moonshiner’ down to feature in the University of Michigan LSA Magazine and reviews in every possible publication….She’s brilliant. 4. In April, the great Brad Paul (formerly of Rounder) kicked off the ‘When We Fall’ radio campaign. Success by all measures! #6 on Bluegrass Today monthly chart and #3 in Roots Music Report Bluegrass chart–both spin count based. Brad also had success with Americana and Folk formats for this record, and I was blessed to appear live on Sirius XM, numerous nationally syndicated radio shows, radio tours and phone interviews (and am still doing them!). Go Brad! 5. On May 28, ‘When We Fall’ hit the streets. Thanks to fans across the country and a spirited pre-sales campaign, the album scored #16 on Billboard Soundscan TOP BLUEGRASS ALBUM CHART! Right next to Punch Brothers & Steel Drivers (15) and Claire Lynch (18) & Gibson Brothers (17)! Really?! 6. May 28 also kicked off the Rebecca Frazier and Hit & Run Southeast Album Release Tour with Coffee, Country & Cody right here at WSM 650 AM in Nashville. We found smiles on faces of fans –old and new– in TN, GA, SC, NC, and VA! 7. June 14 brought our full-house CD Release show at Station Inn (and an awesome Top Pick article in the ‘Nashville Scene’–-plus the beginning of our run with Brian Arrowood, fiddle champ with chops that make us grin! 8. July was sunny with radio tours, local festivals, and an awesome 8-day Colorado tour-complete with Gold Hill Inn CD Release Party and 3 festivals, & 2 concert series. Back in Nashville, we received a “great Hit & Run” shout-out at the Ryman Auditorium (Grand Ole Opry with Ralph Stanley) from Jim Lauderdale! What? 9. September’s highlight: our appearance on Music City Roots in Nashville, alongside Jim Lauderdale Bluegrass Band (and cool cluster-plucking grand finale…) earning us the quote “East Nashville Real Deal Bluegrass” from the respected journalist Craig Havighurst. 10. October! Fabulous DC/Southeast Tour (including WAMU Bluegrass Country-we were the first band in their BRAND NEW studio! ), Song of the Mountains Nationally Syndicated PBS Taping, and auditioning insanely talented bass player, Royal Masat. He’s in! 11. Also in October-a LOVELY interview on Sirius/XM with Kyle Cantrell “Track by Track” for Bluegrass Junction, AND a California tour, including feature on renowned ‘Folk Scene’ on KPFK and Citybilly in Los Angeles, plus KSON Bluegrass Special in San Diego. 12. In November, we joined forces with Steel Drivers, Abigail Washburn, Brad Folk, and others to support Lyons Musicians Relief Fund at 3rd & Lindsley. Thanks, Robby Hecht, Annie Klaver, AJ Trott for this! 13. December Joy! We performed on Woodsongs Old Time Radio Hour in Lexington KY: a nationally syndicated broadcast that will potentially reach millions of homes…and released our Video EPK which was featured in Bluegrass Today on December 5! Quite a feat after collecting video footage all year long. 14. New Year’s Eve: Meantime, I found out that ‘When We Fall’ had been placed at #9 on the Top 25 Albums of the Year for Engine 145. 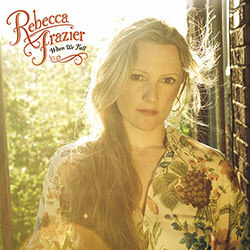 Blown away to learn that Bluegrass Situation printed in ‘Looking Back: the Best of 2013: “Rebecca Frazier’s ‘When We Fall’ is the best bluegrass album of 2013.” The album made “Best of 2013” Lists of DJ’s across the country, like David Smith’s ‘Red River Ramble’ on North Dakota Public Radio and Judith Burnette’s Blue Ridge Country Radio, Galax VA.